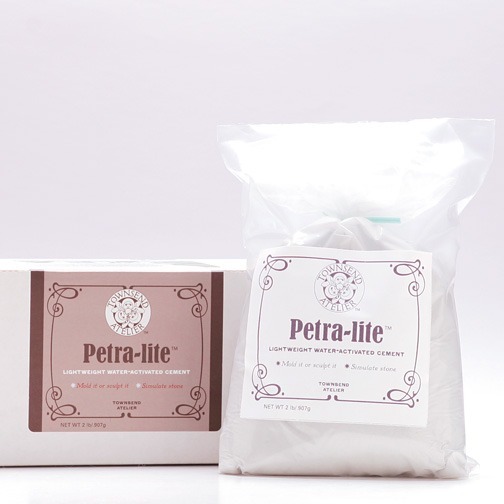 Petra-lite is our brand new product that looks just like limestone or sandstone but is extremely light weight, easy to lift, and suitable for outdoor works. 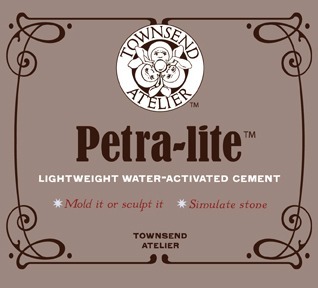 Petra-lite stone can be pressed into a mold, worked onto a vertical surface, or sculpted like clay or a paste. Safe, and easy to use, this hydraulic cement is activated with water and cures in 24-48 hours. Petra-lite can be placed outdoors and will weather beautifully.